GOING TO HEROESCON!! GOING TO CHARLOTTE!!!! the thing is definitely in my top 5! that one destroyed me in the theater--no one could sit still! it works you on so many different levels. i'm gonna add alien and the exorcist to the list, 'cause those are two of my favorites, alien for the fear of the unknown and the incredibly well-built suspense and the exorcist for the basic concept of it; the devil can get inside you. i'm not the type of person who always wants to catagorize things usually, but there are some really different ways that these films scare the bejeezus out of us...or don't! some do it with suspense and mounting terror, some do it viscerally, with blood and gore. others just suggest an idea and let your imagination run with it...sometimes even long after you're outta the theater. and sometimes it's a matter of WHEN you see a movie that makes it more powerful. there are some movies that i saw as a kid that prob'ly wouldn't scare you if you saw them now. 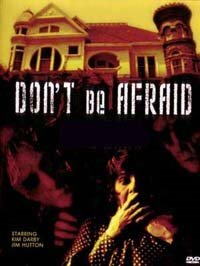 i was 11 when i saw the made-for-tv 'don't be afraid of the dark' and it still flips me out. for the same reason, some movies scare some people and not others. i loved the blob, but it never scared me--like frankenstein and the mummy, it was just another monster i knew i could outrun. and, of course, as with all movies, certain things and styles become cliche, and 'classics' lose their uniqueness. by the time i saw psycho it had been parodied and ripped off by other filmmakers so much that it'd lost it's sting. anyway, i'm rambling again. i promised myself i'd blog an entry every other day and so picked a topic i knew i would have something to say about. sorry. but don't hesitate to write in and add to the list. i promise i won't drawl on so long. Thanks for reminding me about trilogy of terror. Not only was that lillle guy scary as hell, the whole show came out of left center. Really didn't expect to see something that scary on TV at that time. The whole school was talking about it the next day. As for The Thing, I still think of the original as being the scary of the two, but that might just be because of the age at which I saw them. However, the remake had the far superior final scene. funny, your comment about seeing 'something that scary on tv at the time.' my friend and i were just talking about that. at the time (back in the 60's and 70's), there were a LOT of scary things on tv that today would be slapped with that 'parental advisory' announcement they make nowadays or not be allowed on at all! prior to 1980, there wasn't much governing what the networks would run, especially when it came to made-for-tv movies. along with trilogy and don't be afraid of the dark, there were countless other movies (another favorite of mine is 'the ufo incident') that were slowly making the fcc take notice. it all came to a head, of course, with 'the day after', the movie depicting life--or what was left of it--following a nuclear attack.